Kanopy, a popular online streaming service, is available to library patrons! Have you ever wished that a Netflix-like streaming service would be freely accessible on campus? Now it is! Herrick Library has purchased a one year subscription to try out Kanopy, an on-demand video streaming service, which provides online access to over 26,000 films from 800 top producers such as Criterion Collection, PBS, New Day Films, The Great Courses, California Newsreel, Kino Lorber, First Run Features, Media Education Foundation, etc. Its collection grows by roughly 500 films a month, so viewers are regularly presented with new and interesting viewing options. Kanopy provides educational institutions access to one of the largest collections of films in the world – including award-winning documentaries, training films and theatrical releases – on every topic imaginable. Its innovative patron-driven acquisition model has been adopted by over 1,500 universities worldwide, now including Alfred University! You may browse Kanopy’s available films by subject on its website: www.kanopystreaming.com. To browse Kanopy’s most recent film additions and recommendations, please click here. With this recognition, AU Libraries takes its place alongside several of the nations’ most prestigious public and university libraries. From the official press release : April 29, Chicago, IL — After many hours of deliberation – made especially challenging by the high quality of the dozens of entries in this year’s John Cotton Dana Library Public Relations Awards – the judges announced the eight winners of this year’s contest. Each winning library will receive a $10,000 award from EBSCO and the HW Wilson Foundation, the sponsors of this prestigious annual award. 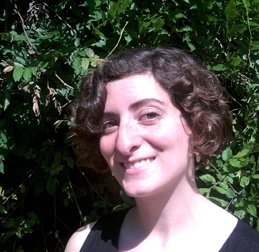 The following winners will be celebrated June 26 at an open reception during the American Library Association’s 2016 annual conference in Orlando. 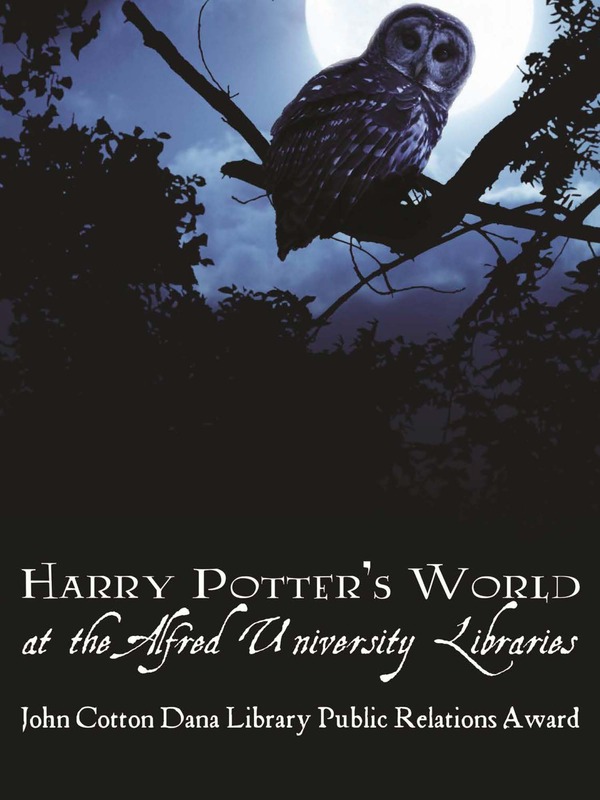 In Fall 2015, the Scholes Library at Alfred University hosted the National Library of Medicine’s “Harry Potter’s World” traveling exhibit. To welcome the exhibit, forge ties with the campus and community, and raise awareness of our collections, we created a two month long event series in the university libraries. The product of collaborations with university staff, faculty members, student groups, and local public libraries, this event series energized the Alfred community, created new connections between the library and outside institutions, and brought several hundred additional patrons into the libraries. The project was the brainchild of Scholes Art Librarian Eva Sclippa, whose leadership and creativity have helped put AU Libraries in the company of large, nationally recognized, library institutions such as Chicago, Houston, New Orleans, San Diego, Vancouver Public Libraries and the libraries at Northwestern University. This is an extremely impressive company. With a simple idea and a few hundred dollars, Eva has led the Alfred University Libraries and the entire university community to prove, once again, that Alfred University has magnificent creative resources and a dedicated faculty and staff who generate national recognition. Herrick Hosts Therapy Dog Night and Massage and Acupuncture Night During Finals Week! We would like to thank everyone who attended and took part in the end of the semester’s annual Therapy Dog Night and Massage and Acupuncture Night! There were 62 people who received massages from 5 therapists, 16 people who received acupuncture, and 25 people who interacted with the incredibly sweet and one and only Cole Porter, therapy dog. Once again, thank you all for a wonderful end to the spring semester! We wish you a safe, restful, and excellent summer!